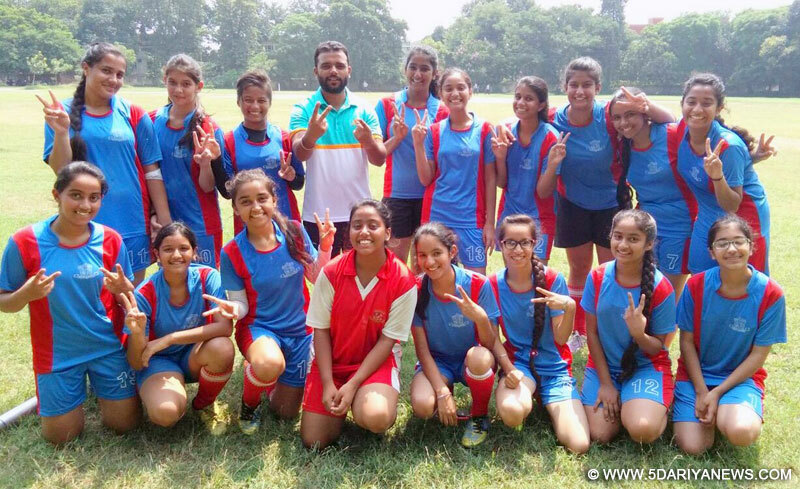 Students of Saupins School Sector -32 excelled in U.T Interschool Football U-17 girls held in 37 Model Sr. Sec School. The Finale was between Saupin's 32 & GMSSS-20. After a tough fight Saupin School won by 3:2 in Tie-Breaker and bagged first position. Scorer's of the match were Jashanjot Kaur, Pranjal Kumari, Ishnoor Bhamra.While encouraging the students the Principal Surita Sharma said that sports and activities are an integral part of school activities for holistic development of the students. Such competitions have physical benefits as they increase activity level, energy level and skill development in students. According to her sports is one such domain where if proper boost is given children showcase immense talent and potential.